Hello everyone! Long time no post 🙂 I thought I’d pop over here to admire what everyone else has been working on, and to share one of my own recently finished projects. There was an awesome Star Wars themed event at the local aviation museum last weekend and I knew I wanted to combine my love of the 1940’s with the Star Wars theme. 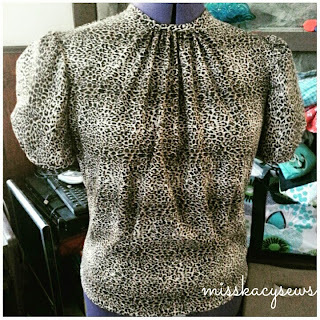 Enter some truly great black and gold cotton from Joanns and an idea was born! I used my favorite (self drafted last spring) kimono sleeve basic blouse pattern and got to work. 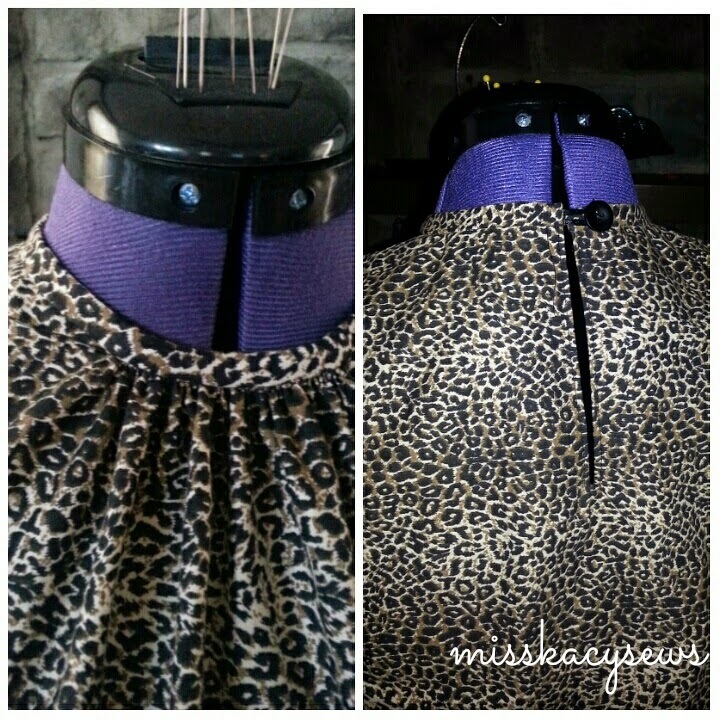 The blouse buttons up the back and is fitted almost like a dress bodice with 4 darts in the front and two in the back. 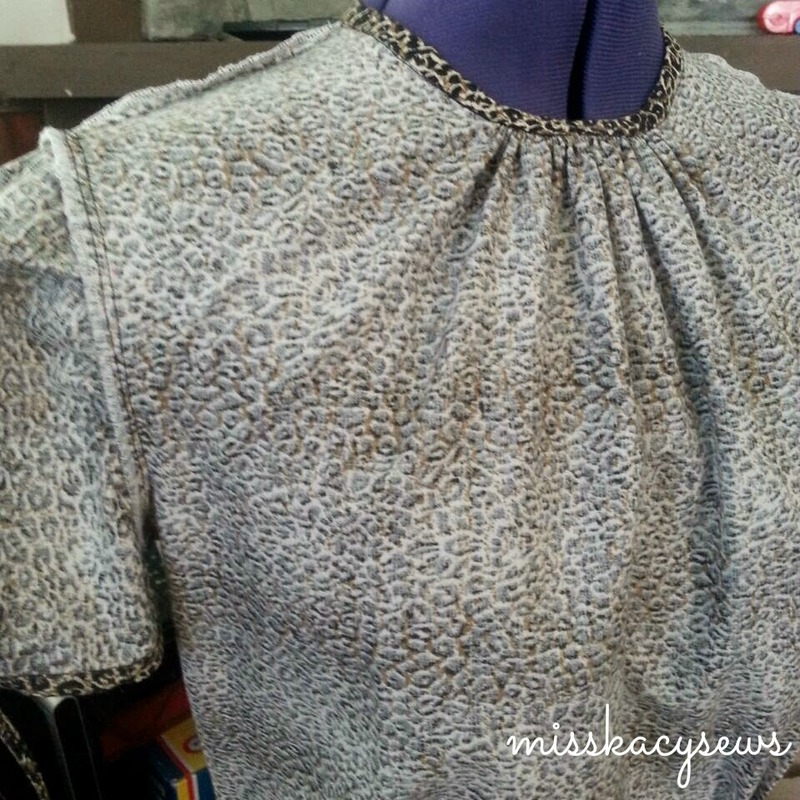 The edges of the sleeves are simply serged and them turned over with a hand stitched hem and the neckline is finished with a self fabric facing. 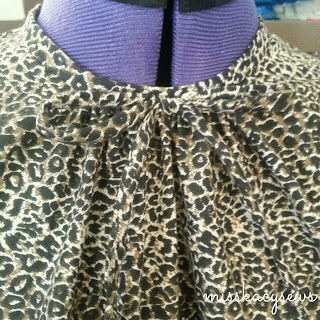 The blouse only took me half a day to complete, which was good as I made it the night before the event! 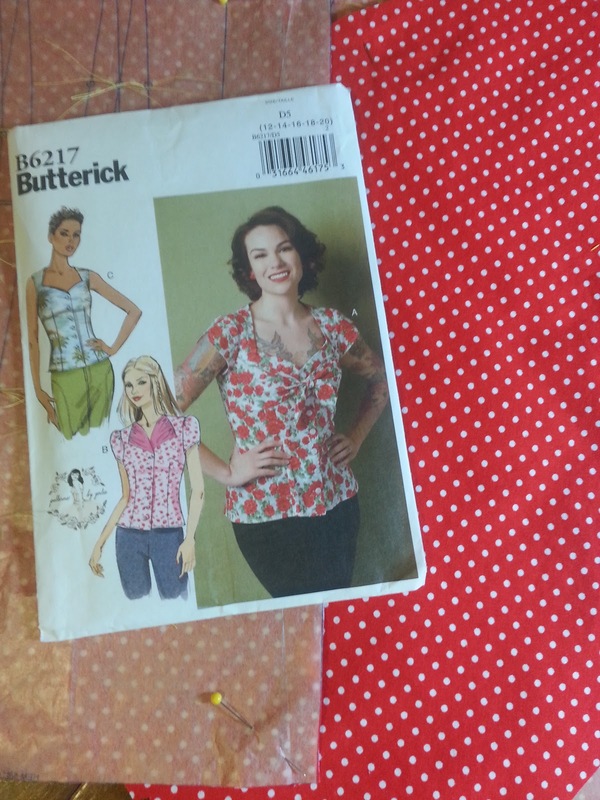 #Butterick6217 – This was such a great pattern, quick to sew up and the fit turned out great, and is very flattering. I am planning to make both of the other versions. 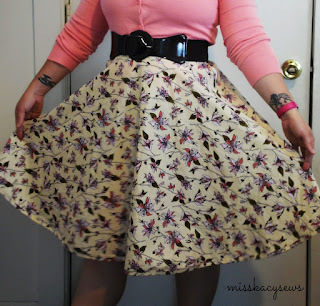 Seriously, I can’t rave enough about this pattern. Go buy it now! You won’t regret it! For this one, I chose this red and white Swiss dot heavier weight quilting cotton I purchased at Wal-Mart for about $3/yd. I was hesitant about the tie across the front. 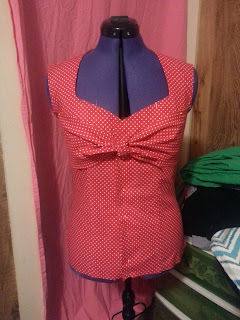 I wasn’t sure how it was going to lay or look, but once I got it put together and onto Millie I was in love! It’s such a fabulous detail! The petal sleeves are a dream and as a sewist with large upper arms, I often have trouble fitting my upper arms into sleeves. 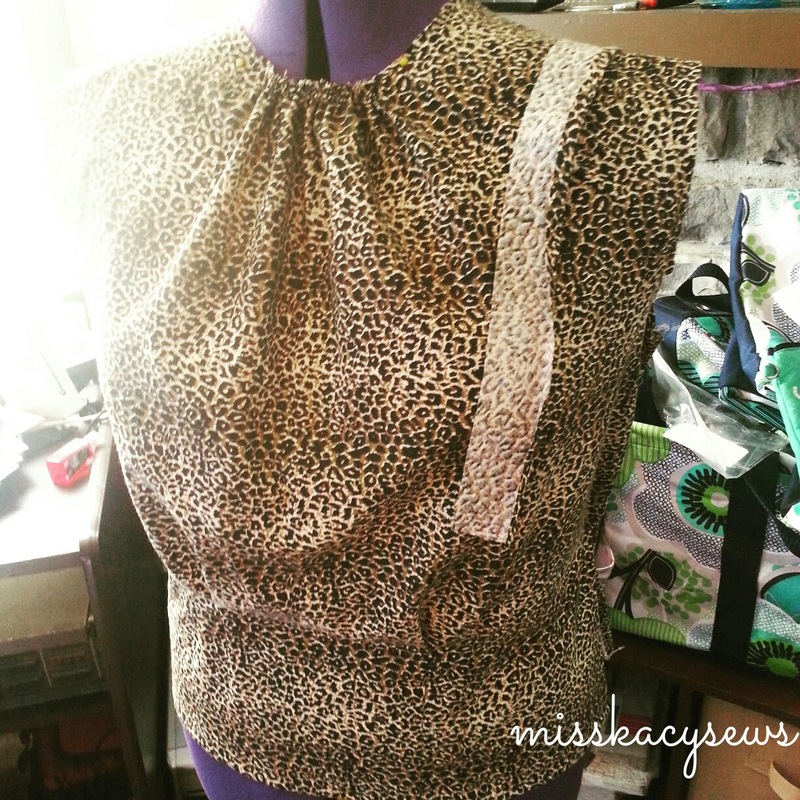 I tend to sew a lot of sleeveless shirts because of this. This type of sleeve makes that problem non-existent. My arms fit beautifully and I don’t get that claustrophobic panic attack feeling when trying to take it off and it gets stuck… Someone please tell me I’m not the only one that does this?? 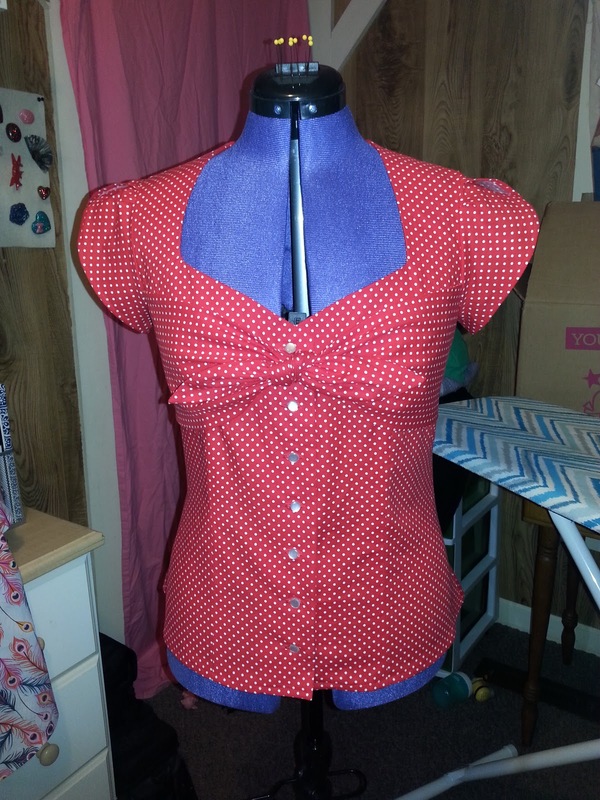 I serged all of my seams and finished the facing with lovely red bias trim. My serger threads seem to be a little on the loose side on that outer edge… not sure what is going on there. I’ll have to work on that. This is definitely a favorite top. It goes great with skirts and pants. I feel sassy and awesome when I wear it! The fit is great from the back. This is a heavier weight cotton and it hugs my curves nicely. 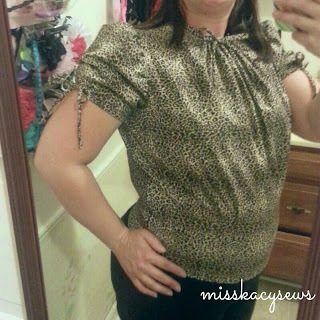 The petal sleeves are awesome, fits the arms nicely and shows off the tattoos!! I need more sleeves like this in my life. All in all, this was a fantastic make. I sewed this up in a day. Totaling about 5-6 hours worth of work. 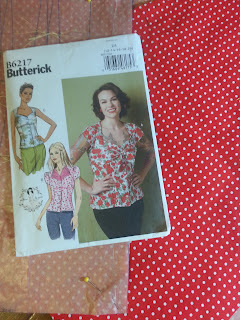 I bought the pattern on sale at Jo-Ann’s during one of their Butterick 3 for $5 sales. 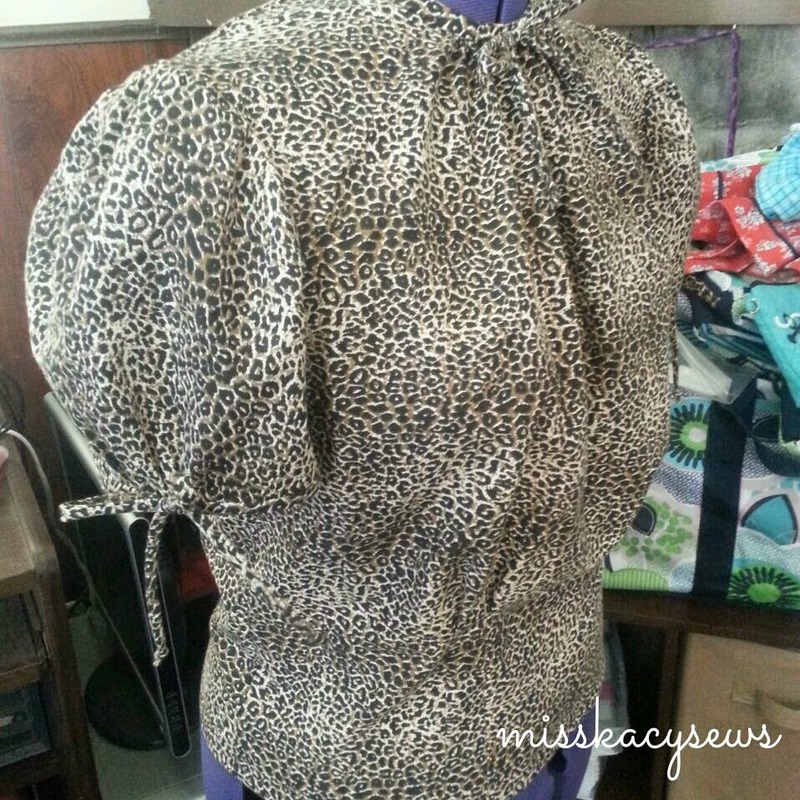 The fabric cost me about $6 for two yards. What a crazy deal!! 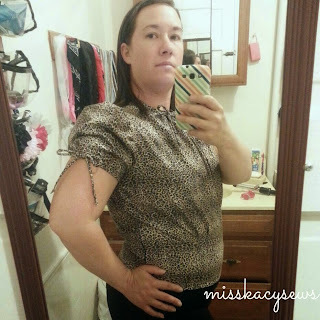 The total cost of this top, $7.70!! 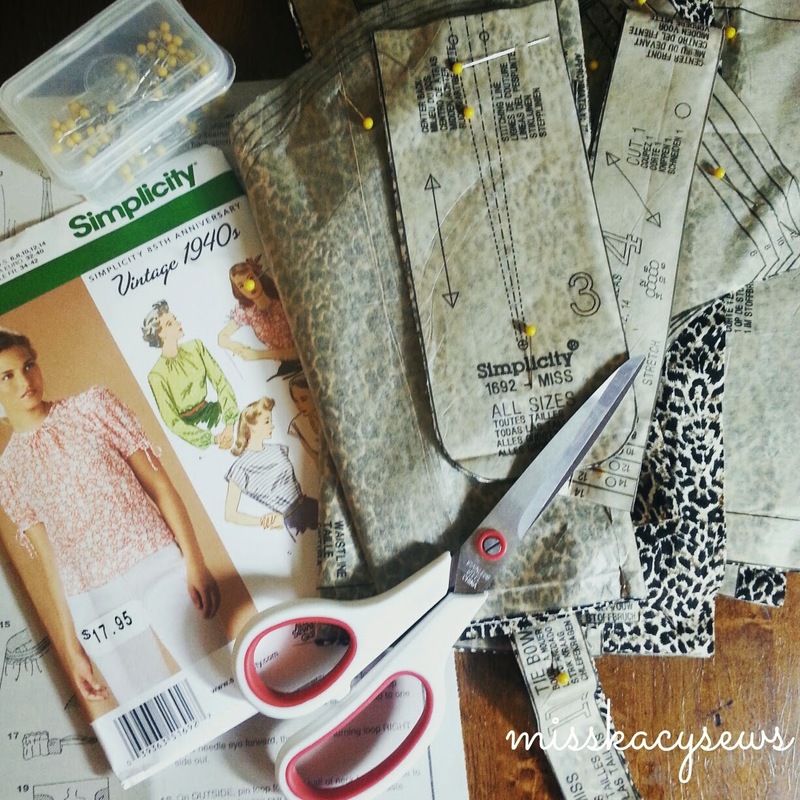 Those are the moments, that really make sewing my own clothes totally worth it! This is #vintagepledge make number 11!! Until next time! 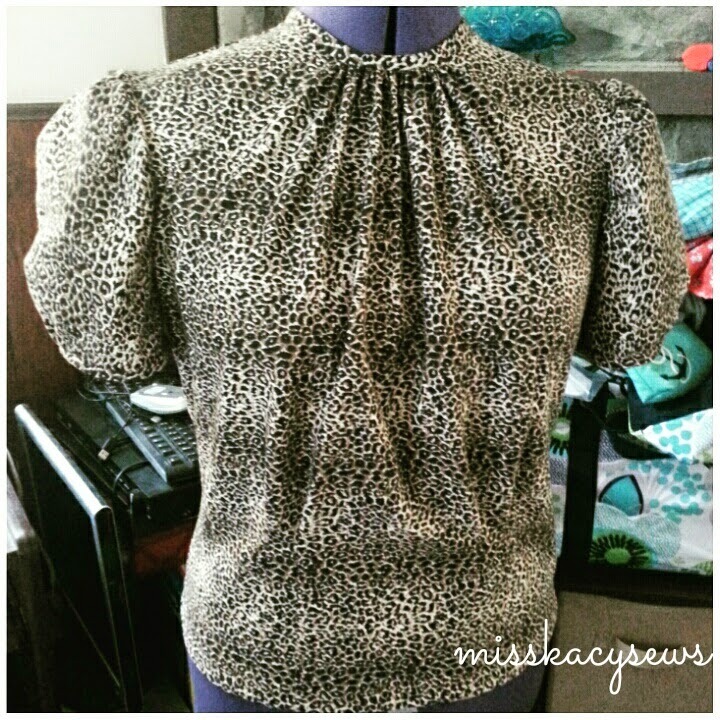 Find more of my projects at www.misskacysews.com! This just might be my favorite sewing project so far! 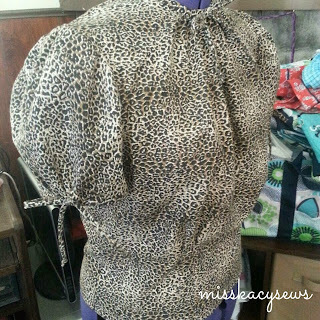 I picked this fabric up 3 times in Joann’s and put it back every single time, telling myself it was too over the top. It was on sale recently and I finally had to give in to temptation and scoop it up. To me, nothing says summer, more than watermelon! This watermelon playsuit is a collaboration between my trusty 3/4 circle skirt #Simplicity1200 and #Simplicity1426 version A! Normally this is something that I would feel far too self-conscious to wear. Honestly though, I feel like my fears are completely unfounded in this. 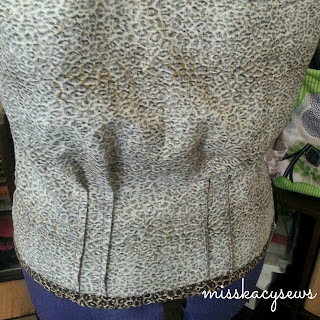 It’s so flattering and when I wear it, I feel like a million bucks! It’s just so much fun. 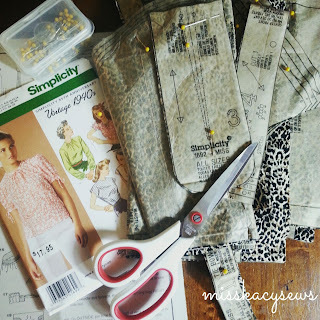 In this post, I’m going to talk mostly about the top, because the skirt is #Simplicity1200 which I’ve done several times now, here and here, no point in rehashing those details. 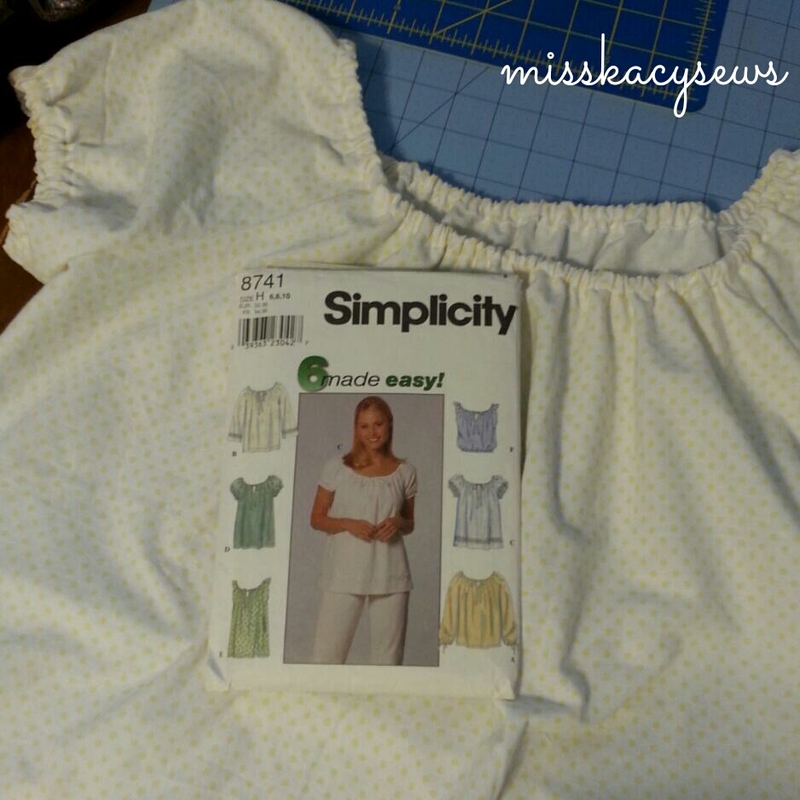 The only thing I changed on #Simplicity1426 was the neck band on the top. I mistakenly only cut out one piece when two was needed. After cutting everything else out, I didn’t have enough fabric to fit one more. 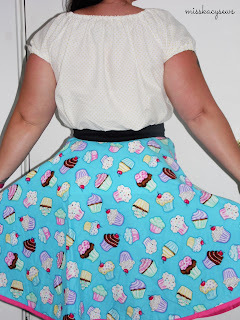 So I improvised and used the same simple black bias binding that I used to bind the hem of the skirt. I’m really glad I did too. I feel like having the black at the top and the bottom of the set creates a cohesiveness that I really like. 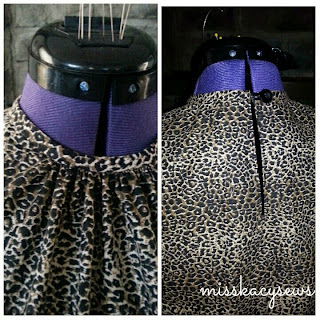 I used simple black buttons on both pieces so they would be minimal and understated. I wanted them to blend in with the outfit. I feel like they do just that. 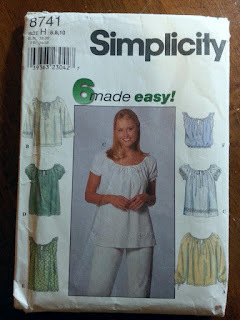 #Simplicity1426 was a great pattern to sew, it sewed up quickly and the directions were really simple to follow. I’ll be sewing this one again in one of the other versions I’m sure! There isn’t much else I can say about this make. I’m so pleased with how it turned out. Now I just wish I could have an excuse to wear it more often!! Thanks for reading, check out more on my blog at misskacysews.com! I had a hugely productive weekend two weeks ago. 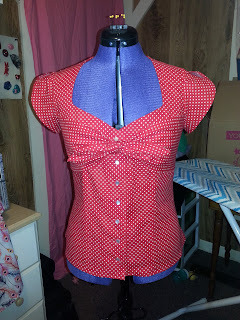 I sewed up a trio of three quarter circle skirts assembly line style and a precious polka dotted peasant top. 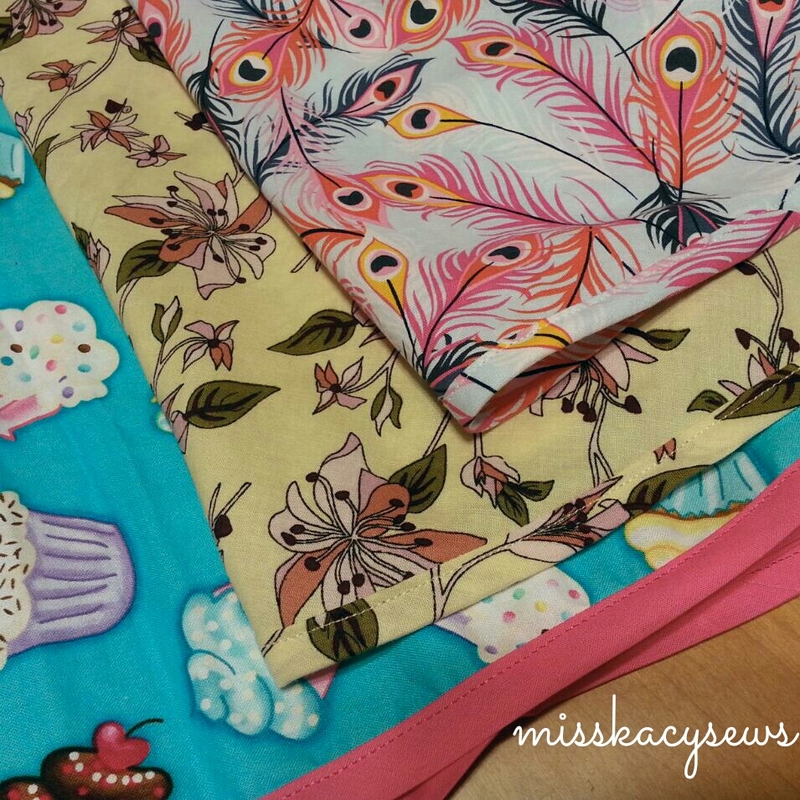 I began working on a skirt for another project, (The Feathers) to be revealed at a later date. I decided that if I was going to do one, I should probably go ahead and do a couple of others I’ve been planning. 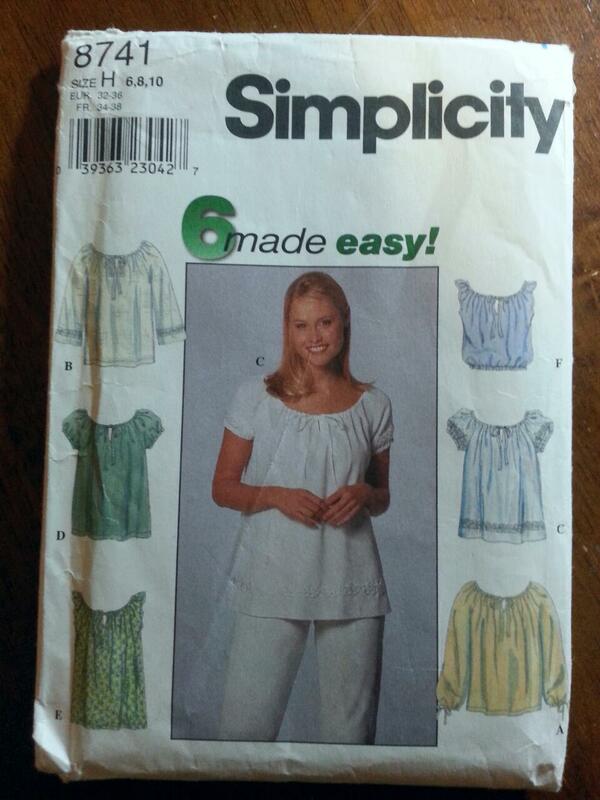 I used #Simplicity1200. 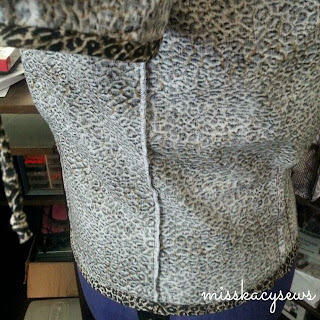 This was my first attempt at side lapped zippers and I’m so pleased with how they turned out. 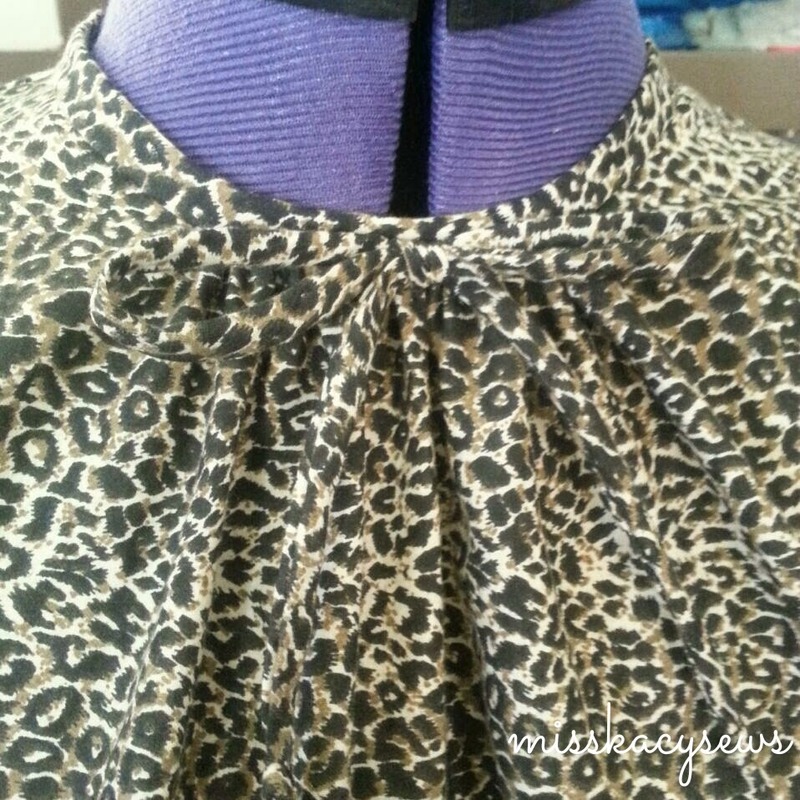 I also used self made bias for two of the skirt hems. Time consuming, but so worth it. I had a lot of firsts that weekend! I took a poll of my friends and coworkers and they overwhelmingly decided I should wear the cupcakes on Monday to work. Well, I got up Monday morning, and started looking through my closet for a top to match the skirt and just couldn’t find anything that I liked. Like you do. 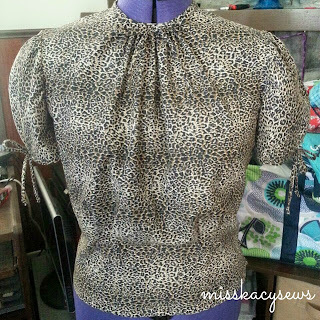 I then got the idea in my head that I needed a peasant top to go with it. I started rummaging through my fabric for something that would work. I came across some white cotton with yellow polka dots that I bought a while back and it was exactly what I wanted. 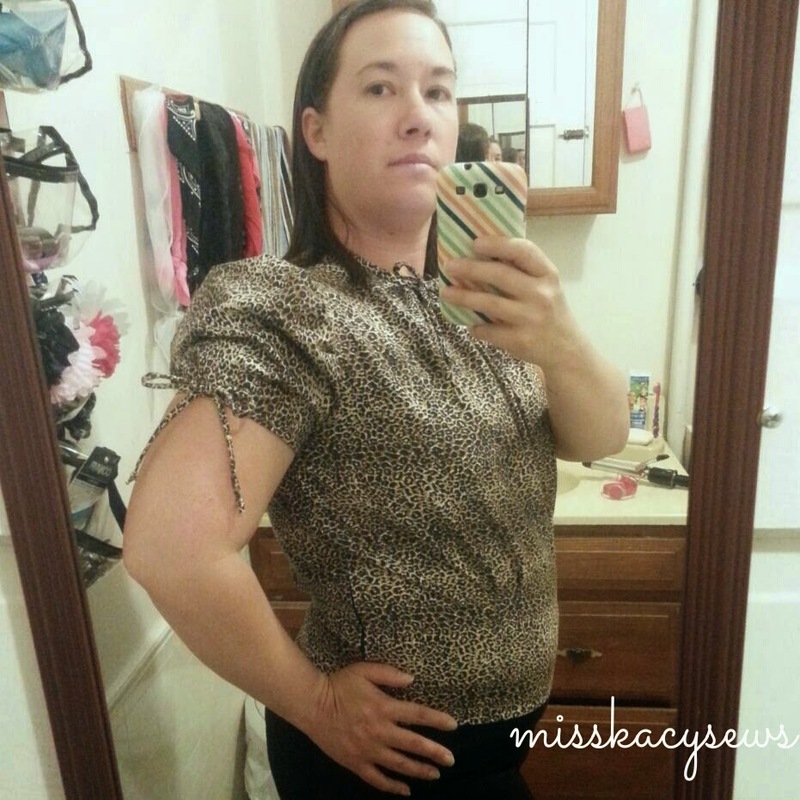 I sat down at 7:15am on Monday morning, and by 8:30 I had a brand new peasant top made from #Simplicity8741! The finished outfit was just what I wanted it to be, you can see more about it here. Needless to say, I’m thrilled with how all of these pieces turned out. I highly recommend that if you have several of the same pattern to make, do it assembly line style. 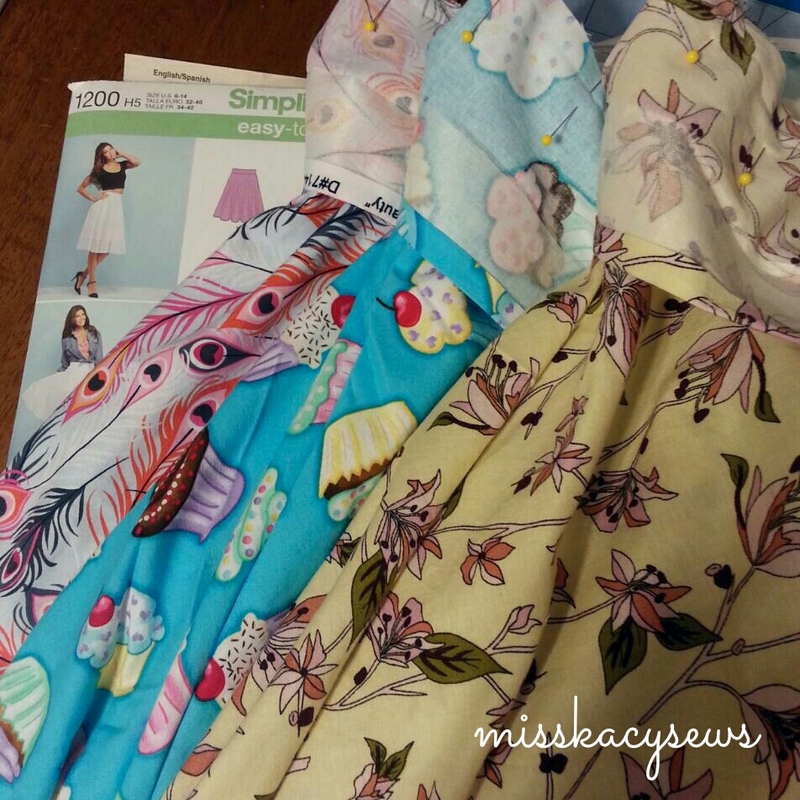 It was so quick and easy to whip out three skirts. 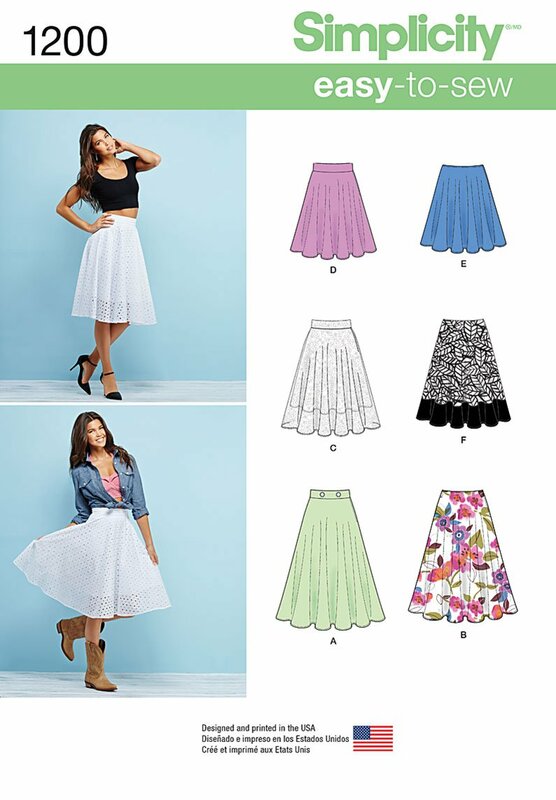 In the course of one weekend, I added three perfect summer skirts to my wardrobe. Next time I think I’ll do the same process with some more peasant tops! 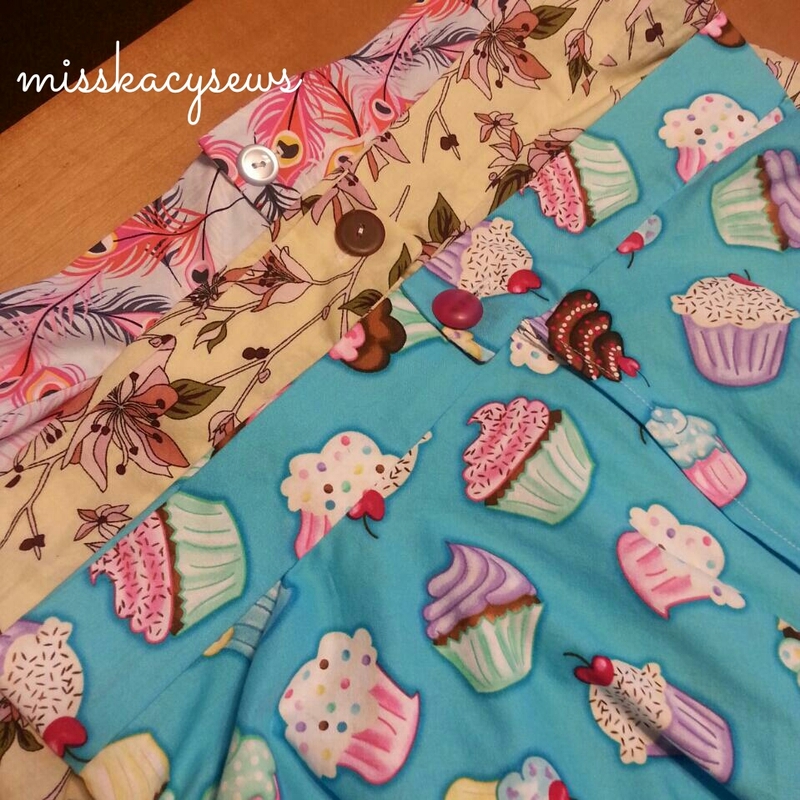 Click the pictures to visit my blog for more about each skirt! 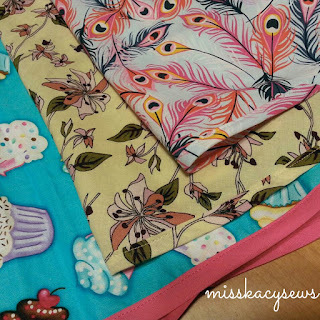 As always you can follow along with my sewing mis-adventures at www.misskacysews.com!